Ouch! close.io needs work. Highrise HQ out-performs your website. Your website has a low score because it isn't mobile friendly, and loads slow. 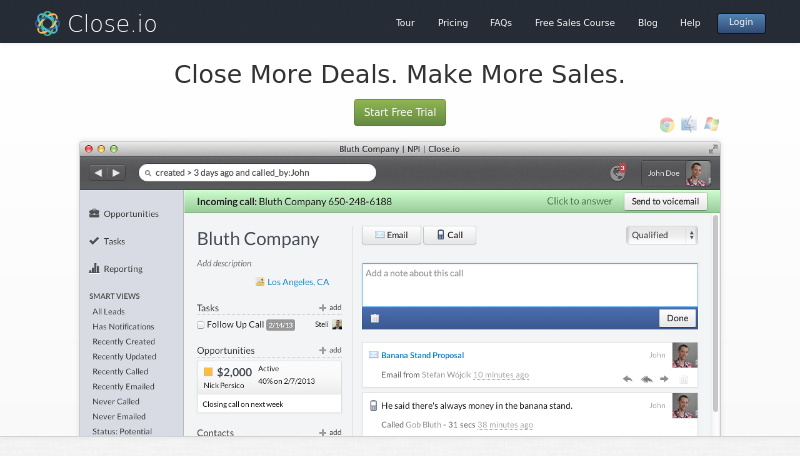 Close.io u2013 Stop logging calls and emails and start making them instead.